The report was developed for the Maine legislature. 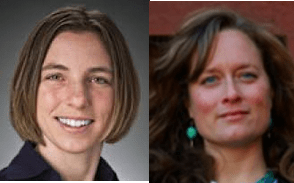 Those elected officials recently made headlines when they voted nearly unanimously to overturn a veto from the state’s eccentric Governor Paul LePage of an insurance mandate for naturopathic services. 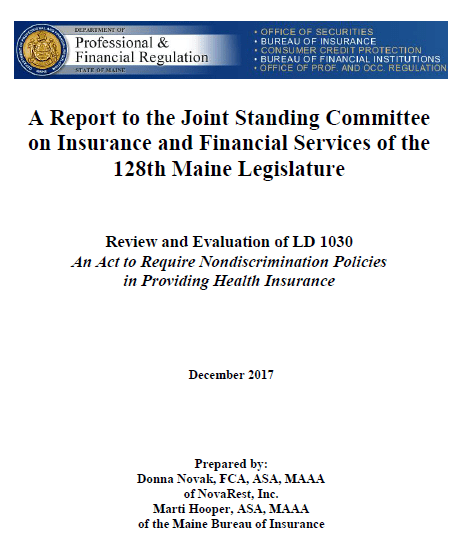 The officials’ favorble perspective on the new law was based in part on the DPFR’s 18-page Review and Evaluation of LD 1030: An Act to Require Nondiscrimination Policies in Providing Health Insurance. This evidence backed the overturn of LePage’s veto on votes of 32-2 and 135-11 in the Senate and House, respectively. In January 2019, coverage of naturopathic doctors will be required in all Maine private insurance plans. Jacobs argues that passing such a law has two sets of beneficiaries. Patients, especially those less-resourced, will gain more access to the naturopathic option: “I have many, many patients who are low income, and others who are poverty level. If we can keep them from more expensive procedures and treatment, all the better.” Jacobs expects the state will also attract more new naturopathic graduates, thus also expanding access to these lifestyle-oriented practitioners. A third stakeholder beneficiary could be regulators and legislators in other states. The Maine report should be handy for others, In fact, Jensen shared that she knows it is already being put to work in other states. Jacobs shared that their campaign originally began in the context of the 2010 Affordable Care Act and the Non-Discrimination in Health Care Section 2706. As general practitioners, what naturopathic doctors do is routinely covered when provided by medical doctors, osteopaths and nurse practitioners. Thus Section 2706 seemed to grease the skids for naturopathic coverage. Yet insurers in most states resisted through tortuous interpretations of the straight-forward statute. 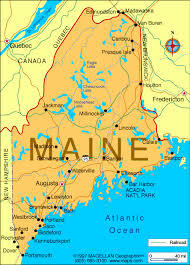 With this new law, Maine joins Hawaii as one of the few states to have the Congressional intent behind Section 2706. Yet this coverage, as useful as it may be for each of these stakeholders, is for coverage of a naturopathic practice that is quietly passing as a conventional one . Hidden is the uniqueness that the DPFR references when it speaks of patients with chronic conditions “who feel that an ND can help them when conventional medicine has not.” Might it not be useful to examine the global costs and savings from the naturopathic doctors’ lifestyle-oriented, integrative model? This is the big question that the Maine report side-steps. Hopefully this initial coverage will one day open a transparent examination of the effect on the payment and delivery system of what patients find in the full expression of this integrative approach.